IQC offer essential Management System training for our customers to learn about industry accredited training and management policies. Discover the latest company news and events brought to you by IQC. Quality 9001:2015 Versus ISO 9001:2008. What is an Integrated Quality, Environmental, Safety Certification? Integrated Quality, Environmental, Safety Certification is the process of verifying an organisation’s management systems, demonstrating that they adhere to industry standardised practised for conducting business. Such certifications can include Quality, Environmental, Occupational and Workplace Health and Safety, Food Safety, and many other standards as deemed appropriate for Australian and New Zealand businesses and International Standardisations. 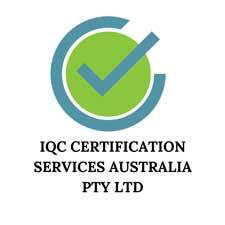 IQC are proud to provide Integrated Quality, Environmental, Safety Certification (ISO) accreditation services throughout Australia, from Melbourne to Sydney to Brisbane and beyond, to ensure your business’ quality management systems tick the following standards; ISO 9001:2015, ISO 14001:2015,ISO 4500 AS/NZS 4801, HACCP, GMP, ISO 13485, ISO 10002, ISO 30000, BC Kosher, and more. Our reliable certification services offer organisations a way to solidify their management systems for industry applications. We endeavour to enhance all our customers’ experiences with the knowledge and vision to excel at managing their business. The IQC family focuses on customer service delivery by enhancing customer products, their processes and business resources. By looking forward into the future of doing business, training and certification services allow us to build trust and strengthen relationships with all parties involved in an organisation. Whether you’re a Brisbane hotel, a Sydney aged care facility or an up-and-coming Melbourne cafe, talk to the team at IQC about setting your business up with ISO Quality Management certification accreditation today.